A mask to gently balance oily skin. This mask contains a blend of natural mineral clays to balance skin by absorbing excess oil and dislodge debris from pores for a clearer complexion. The formulas also contains skin soothing and skin repairing ingredients to calm and soothe skin. The mask rinses easily leaving skin soft, matte and smooth. Gently cleanse skin and apply a thin layer all over the face and (if needed) neck and let dry for 10–15 minutes. Rinse thoroughly with tepid to warm water. Follow with a BHA exfoliant, serum and then your day or night moisturiser. Those with oily to very oily skin can use this mask several times per week, while those with normal to slightly oily skin can use it less frequently (once or twice per week, for example). I've used this mask for years, and love it. It clears my skin and closes pores. I am an avid fan of PC products, but some of them, this one included, unfortunately don't live up to both price and reputation. This product burns immediately upon application and keeps burning. Also it leaves the skin extremely dry and irritated afterward. I would not recommend this product for anyone with combination skin. 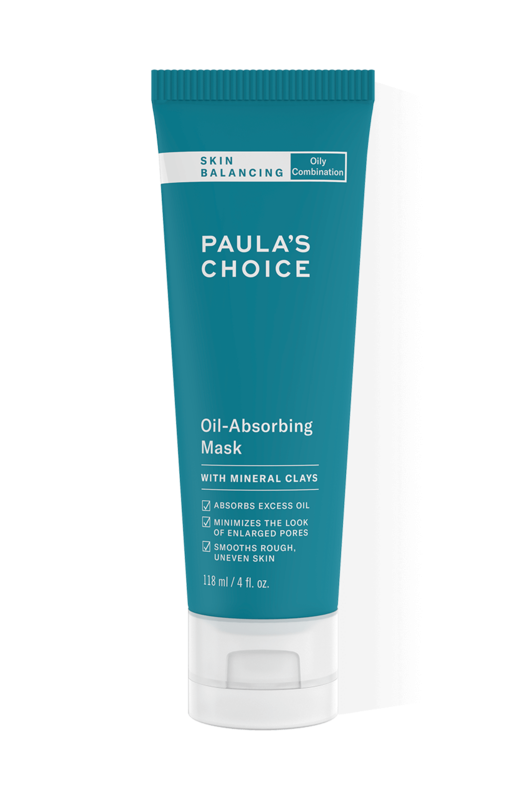 I have order some sample to try paula's skincare and they was good except this mask. First I clean the face with balancing cleansing and after that I take on this mask. But directly it burns like a fire in my face and first I think okay it working but after about two minutes i most take it of. And even after I take it off it burned for about five minutes in my face. I had big expectation of this product but now i have to try the other mask and hope is going to work because I want everything in this serie. Naturally occurring clay mineral. Its absorbent properties make it a popular ingredient in clay masks for oily skin. Aqua, Kaolin (clay/absorbent), Bentonite (white clay/absorbent), Glycerin (hydration/skin replenishing), xilaS Alba (Willow) Bark Extract (skin-soothing), Steareth-2 (texture-enhancing), Stearic Acid (texture-enhancing), Aloe Barbadensis Leaf Juice Powder (hydration/skin-soothing), Sea Whip Extract (skin-soothing), Colloidal Oatmeal (skin-soothing), Bisabolol (skin-soothing), Ascorbyl Palmitate (vitamin C/antioxidant), Tocopheryl Acetate (vitamin E/antioxidant), Phospholipids (hydration/skin replenishing), Panthenol (skin replenishing), Retinyl Palmitate (vitamin A/antioxidant), Butylene Glycol (preservative), Disodium EDTA (stabilizer), Phenoxyethanol (preservative), Caprylyl Glycol (preservative), Ethylhexylglycerin (preservative), Hexylene Glycol (preservative). Can I use the Skin Balancing Oil Absorbing Mask for my dry skin? The Skin Balancing Oil Absorbing Mask is especially developed for oily skin. If you have combination skin, you can use the mask on the oily areas. For dry skin, try the Skin Recovery Hydrating Treatment Mask.